Ok, this isn't my lowest price ever for juice, but it's a good deal to have a small stockpile of juice delivered right to your door! Be sure to check out all the Gerber Graduades deals that I posted about earlier this week! 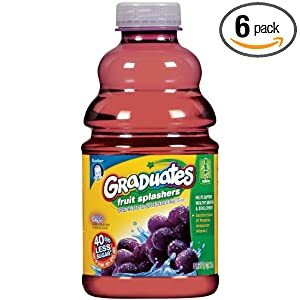 Visit the Gerber Graduates Fruit Splashers Juice product page. Add one or more to your cart using the Subscribe & Save option. Enter Amazon promo code GERBR434 at checkout.